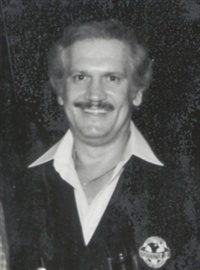 Jim George is the founder of The Nail Emporium distributor and International Nail Manufacturers. In 1979 Jim George noticed the growing popularity of the gold nail charms and diamonds being used by his wife and cosmetologist Charlene. Working as a team with a jeweler, the Georges founded Nail Fashions selling nail jewelry. The birth of International Nail Manufacturers (INM) in 1987 evolved to meet the growing demands of nail technicians for better quality products, more choices, and reasonable prices. George passed away August 29, 2011, at the age of 81. To create an exciting, sparkling colorfully kaleidoscopic trade show takes the right combination of people, products, activities and incentives. Just such a package is now being finalized for the WINBA Show. Tracey Lee is not new to the nail industry. She has done everything from teaching to judging to vlogging, but now she can say she has truly done it all. The Eindhoven, Netherlands-based tech flew to Chicago in March where she was crowned the champion of Season 4. The Polished Girl founder continues her involvement with NYFW by leading a team at INM.